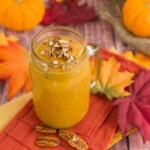 Creamy pumpkin smoothie with fresh oranges, yogurt and vanilla. 1 tablespoon sweetener – raisins, medjool dates, maple syrup, coconut nectar, etc. 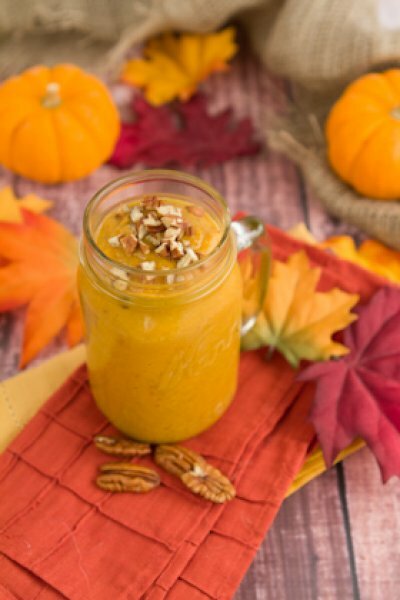 Place all ingredients in your blender in the order listed and blend for 30 seconds or until smooth.